Singapore 15 September 2015 - CBRE is pleased to launch the Public Tender sale of 42 to 46 Joo Chiat Road, a row of three adjoining 4-storey with attic, freehold conservation shophouses in the heart of Katong/Paya Lebar. The adjoining units - 42, 44 and 46 Joo Chiat Road have a land area of approximately 4,992 square feet, and the current gross floor area is approximately 14,820 square feet. The site is zoned for “Commercial” usage under the 2014 Master Plan, within the Joo Chiat Conservation Area, and comes with a plot ratio of 3.0. New extensions within the conservation guidelines are permitted up to a building height of 5-storey. Strategically located opposite Joo Chiat Complex and close to the junction of Changi Road, the shophoueses enjoy about 17 metres of prominent street frontage with high visibility. Public transport is also easily accessible along the main roads with additional connectivity via both the Paya Lebar Interchange and Eunos MRT Stations. Joo Chiat was declared Singapore’s first Heritage Town in 2011, as part of the government’s initiative to promote a vibrant Peranakan and Eurasian heritage. The Joo Chiat identity is especially shaped by its unique architecture – colourful shophouses and terrace houses with ornate facades, intricate motifs and ceramic tiles. Particularly, the shophouses at Joo Chiat form a charming corner in Eastern Singapore, reflecting the typical architectural styles of the turn of the twentieth century that have been preserved, as well as many unique and straits eclectic styles which gives the area its true flavor. The area has evolved into a creative hub for both local and foreign creative professionals. New businesses such as art galleries, design studios, upmarket retail outlets and eateries have emerged, while a number of shophouses have been restored. These additions further enhance the allure of Joo Chiat and can expect to draw fresh crowds to the area. Also popularly known for its great street foods and eateries specializing in Peranakan delicacies, Joo Chiat has begun to see a more eclectic mix of East-West restaurants. With the completion of One KM, Paya Lebar Square and the upcoming integrated development by Lend Lease and the Abu Dhabi Investment Authority, these various enhancements will further boost its’ vibrancy and allure. 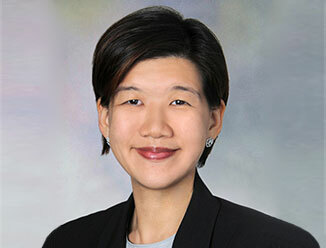 Sammi Lim, Associate Director, Investment Properties, CBRE said, “Following CBRE’s successful sale of 201 Joo Chiat Road in March this year, we have observed increasing interest from buyers seeking shophouse purchase opportunities outside of the CBD, especially in the East. The rich heritage flavor in the East, combined with the new waves of redevelopments and continued transformations in Joo Chiat and Paya Lebar, has steered buyers’ attention that this area would be the next hotspot with strong potential for future growth. We expect more vendors to seriously consider putting up their assets for sale in the next six to 12 months. With a row of three adjoining units, some feel that the purchase of such shophouses is akin to buying land and owning their own boutique building. While some shophouses fall under full conservation status, there are others like this Joo Chiat asset that come with potential for enhancement and intensification of the property’s plot ratio. This value-add angle allows for further upside for the property. The buyer has the option to purchase based on a leaseback structure or on a vacant possession basis, which provides for full flexibility to the buyer. As such, this asset definitely caters to both investors and also owner-occupiers, who will like occupy the premises as their corporate headquarters with building naming rights. Based on the guide price of $28 million, investors looking at an expected 4% return will find this an attractive and compelling purchase in the current market. The Public Tender exercise for this Property will close on 4 November 2015, Wednesday at 3 pm.